2019 USA Sevens Rugby in Las Vegas . if you’re like us, rugby 7s season begins in the Spring with a trip to Las Vegas for the American leg of the HSBC World Rugby Sevens Series. 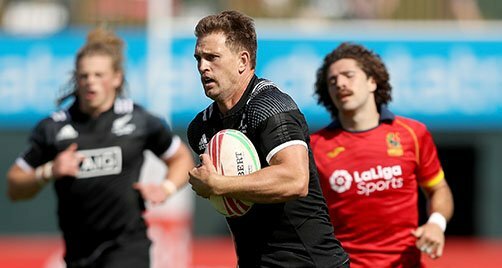 The date for USA 7s changes year-to-year but we’re happy to report that the dates for the 2019 series have been confirmed: the Las Vegas leg will be held March 1-3 and will feature the Men’s Eagles. Fifth and sixth rounds for the men’s series will be hosted in Las Vegas, USA on 1-3 March 2019 and Vancouver, Canada on 9-10 March 2019, before teams travel to Hong Kong, 5-7 April 2019 and Singapore, 13-14 April 2019 for rounds seven and eight respectively. The penultimate round of the series will take place again in London, 25-26 May 2019, with round ten hosted in Paris from 1-2 June 2019.